Outdoor disinfectant and cleaner. Concentrate to be pre-diluted with water, ratio 1:80 for use on algae build up on glass, green houses, water butts. 1:30 for use on patios and driveways. Use neat for drains and litter bins. Hazard safety codes: R21/22, R25, R34, R36/38, R50, R53. 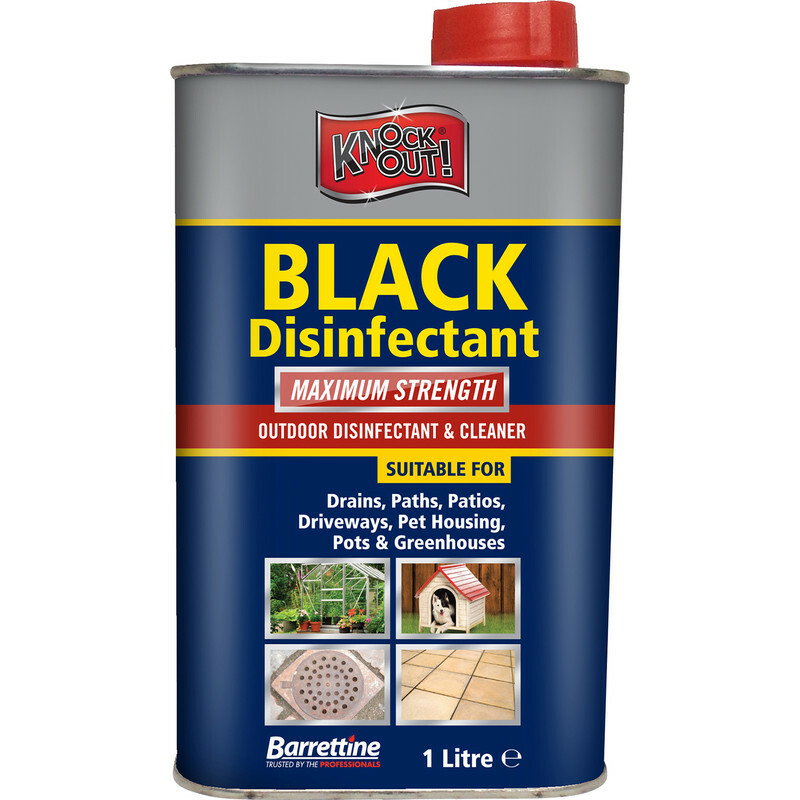 Knockout Black Disinfectant 1L is rated 3.7 out of 5 by 3. Rated 5 out of 5 by Anonymous from Really good disinfectant Excellant produck. Does what it says on the can.